BEIJING -- South and North Korea participated in a recent cultural tourism festival in China amid growing speculation about Beijing's moves to support the North through tourism sector cooperation, sources said Friday. The 2018 Northeast Asia Cultural Tourism Gourmet Festival, which was held in Hunchun, northeast China, from August 3-6 drew participants from China, South Korea, North Korea, Russia, Japan and Mongolia, featuring about 200 kinds of cuisine. About 200,000 people reportedly visited the festival sponsored by the governments and tourism authorities of China's Jilin Province and Hunchun. The sources said that the simultaneous participation of the two Koreas, China and Russia in the same event was notable, as Beijing and Pyongyang are believed to have pushed for tourism cooperation. "The Hunchun festival was held with the participation of China and the two Koreas, excluding the United States. This suggests a great deal to North Korea's tourism and economic cooperation amid a detente on the Korean Peninsula," a source said. Following March's North Korea-China summit, Beijing has eased regulations on North-bound travels in Hunchun and other northeastern border cities. As a result, Chinese tourists can now go to North Korea to enjoy sightseeing by obtaining a single-use border pass from a tourism office in Hunchun. The municipality of Hunchun has also introduced various tourism products for Chinese tourists and motorists wanting to visit the North for one to three days. 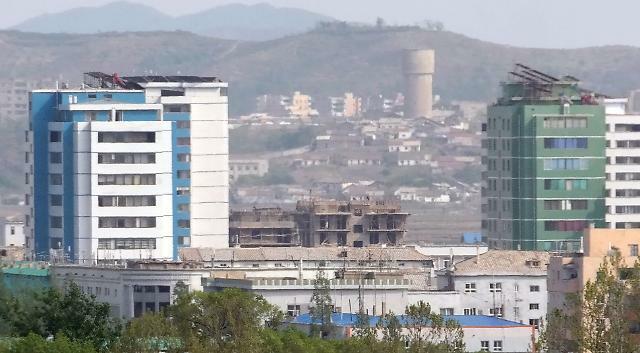 The People's Daily, the official newspaper of the Chinese Communist Party, introduced Hunchun as an economic hub of northeast China in a front-page article on Friday and relayed the authorities' intent to grow the city into a key location linking China, North Korea and Russia. The newspaper also said Hunchun's roads and railways lead to North Korea and Russia and the Chinese city serves as a gateway to about 10 sea ports in neighboring areas of North Korea and Russia.